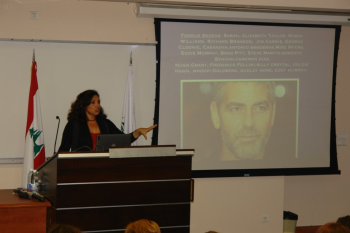 The Alumni Relations Office organized a lecture entitled “Introduction to the Enneagram of Personality Types - Discovering new pathways to Success” on Wednesday November 7, 2012 at the Business Building, Beirut Campus, room 903. The lecture was presented by Ms. Halla Ayla, a professional member of the International Enneagram Association. Over 130 alumni and friends attended the event which was followed by a reception. To view the video: http//tv.lau.edu.lb.